I am a woman of 77 years of age, a pensioner and still active in blogging. I am sure I am not the only pensioner in the world. There must be many pensioners with their varieties of functional titles. And of course, those who are owned a fix functional title might have their routine income with them. Perhaps, they do not care about seeking any other business or activity such as the one of my own -- blogging. But for those who are not having any activity but enjoying their time by doing nothing, don’t they be worried about attacking by senility at their early stage? Speaking from my point of view, I am worried very much about being attacked by senility that might come to my life in the earliest possible time. This situation will create problem to my family, especially my children. They will have to take care of me to all their hours everyday. Sooner or later they will get bored and who knows they are going to get rid of me from the house and put me into a Nursing Homes. Oh-My-God, keep me away from this condition. I hope the end of my day will be as quiet as I want to be, surrounded by all my beloved children, grandchildren, sons-in-law, in a peaceful situation and atmosphere. Aamiin. I joined blogging in early 2009. Bearing in mind, as I said before, there had to be many pensioners somewhere out there. Let’s do blogging to keep the senility away from our lives -- I realized there were none of them who were older than my age, or, at least some friends of the same age. My brain was circled by so many questions. "Why it's only me? Where were the old women? Was that a silly question? Almost all my online friends, since then, were much younger than my age. Or perhaps, I was trying to aim something in this activity. It's very hard for me to get the answer to so many questions clung on my head. But I didn't want to stop. I kept on going and tried to find the answer, why? Finally, I got the reply from deep in my heart that not the earning that matter, but approaching the senility which closer and closer that worried me. So I ought to refresh my brain, no matter what! Do blogging as often as I could be. Improve my knowledge whatever it is. For those who are new to any online matters, let’s follow my way to come to a final step and start writing something on a blog. Ignore your incapability – just start registering an account in Blogger.com. There you are! You will find anything you need, naming your blog, choosing the best and suitable name agreeable to you to begin blogging and write your first article. Blogger will lead you. Trust me. You or I are able to read and write perfectly, aren’t we? So, no doubt to start with it, instead of your managing to write in your diary everyday. How about if one day you lost your Diary? There will be no memories left behind. Everything will be gone, just like that! You’ll be in a miserable lives. The best way is you open your blog and write everything you want on it. Save and secure. 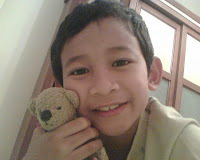 I have learned about how to blog either from Google which is always there or from my online friends. I am not ashamed of asking them for what I am not familiar with. Why should I? If you don’t know anything -- you’re ashamed asking people you know or do some googlings – you are stucked! You are in a dead-end! Years go by -- I have gained many experiences from blogging. I understand that still many things to be learned, but at least I am a Blogger now. I am entitled to be called Blogger and I am proud of it. As a Blogger, I have so many opportunities to involve in various events organized by several communities where I am enrolled in. Imagine, will it be possible for me to join any event without being a Blogger? Of course, not! As an ordinary person I will not, repeat, I will not allowed to join one of the Workshops or Seminars implemented by any Community, unless I am a Journalist. 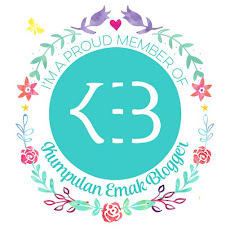 Before joining other communities, I am a member of Kumpulan Emak2 Blogger, abbreviated as KEB, the group of which only followed by women, either young women, older women or even the only one old woman like me as its member. Lucky me! In the year of 2013 as the most Senior member of KEB in terms of age, I was invited to attend the ceremonial of Kumpulan Emak2 Blogger on its 1st Year Anniversary, 18 April 2013. What a surprise! The day that I will never forget, an Award Srikandi Blogger Lifetime Achievement 2013, ACE/KEB version was presented to me, the Oldest Woman Blogger. My children, grandsons and my son-in-law were there. They were almost shocked by knowing that I walked and stepped up towards the stage to accept the appreciation from KEB. That’s only the one among other benefits I got from blogging until end of 2013. No wonder, many more benefits resulting from my activity are waiting for me as long as my existence is still there and I will never stop learning as well. Are you aware now that blogging is fun? Ever Onward, No Retreat! I wish for your health, Bunda..so that you can still spread your spirit and inspiration to us (to me especially). Thank you, Arinta,for your prayer and for your visiting my blog as well. The same prayer for you too. Congratulations on your achievement bunda. Your spirit and enthusiasm is definitely contagious :). Thank you, Riri. I hope I can deliver the enthusiasm for you and others too. Hehe...gakpapa Mas ali shodiqin, anggap aja lagi baca lembaran berisi bacaan iseng, mau ngerti atau gak yang penting baca, gak usah diartiin koq. Terima kasih banyak udah mampir ke blog bunda. Everyone can be a blogger, no matter how old we are. By writing and learning something new, we keep senility away. Keep blogging, Bunda! Siapa - siapa yang larang - larang bunda ngeblog? Sini kasih tau aku biar aku maskerin matanya hahahahhaha. Umur ngga jadi masalah, yang penting berbobot. Toh dah kebukti pertanyaan di event lbh berbobot dari pertanyaan org yg lain, huh. Sabar, sabar, sabar...(sambil ngelus-elus punggung Roosvansia, hehe... Ember, makanya orang mo bilang apa, bunda teuteut ngeblog. Aduduuu...masih di-inget-inget aja tuh pertanyaannya. Kan bunda udah dapet angpaw karena pertanyaan itu...Yeaaay..asyiik. Wow ... you're so rock Bunda! while some women in my age are wondering why they should able to write, you still have a passion to blog. It so wonderful! Hope you always in healthy condition and able to share your spirit to all people around you. See? Bunda, you're awesome... You are my beloved "not so old" lady, inspiring figure. Lucky me! to have you in my blogging circle. I have written about you. You are one of inspirational bloggers I've ever known. 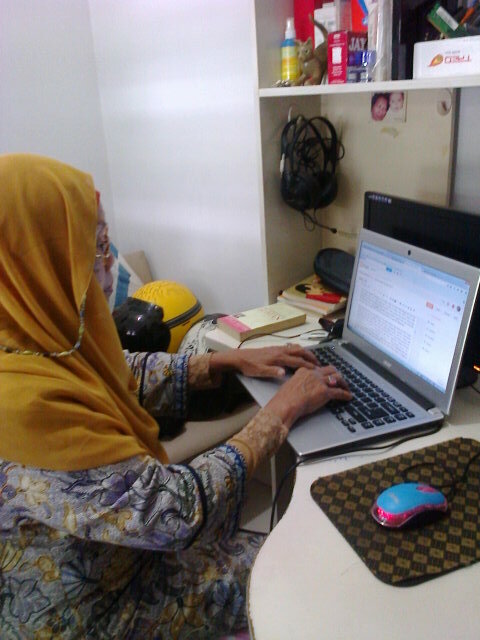 Bunda, such an honour I could know you by blogging world. Incredibly, at that age you still productive by writing on blog, it was super! Really, why should you, dWi. 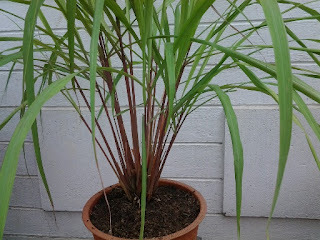 Btw thank you for your visiting my blog. Thank you, evrina for your encouraging me to go on with my activity. Thank you again for your visiting my blog. Age is just a number. With age comes life experience and wisdom worth sharing. Thank you for sharing yours and please share more. You are inspiring.